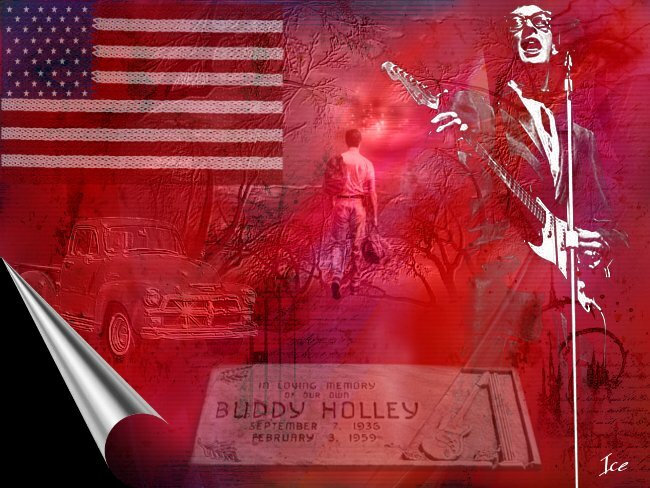 Buddy Holley died at age 22 in a plane crash near Clear Lake, Iowa on February 3, 1959. He is buried in Lubbock Cemetary in Texas. It is customary to place a guitar pick on the headstone so that "music lives on". American Pie was written by Don Maclean in Buddy Holley's memory.